Everything I did on my summer vacation was free. Well, everything except for the daily bags of ice I purchased for my cooler from a groovy local café at $2.25 a pop. (Because heat). All of it was on public land in the West, and all of it was magnificent. 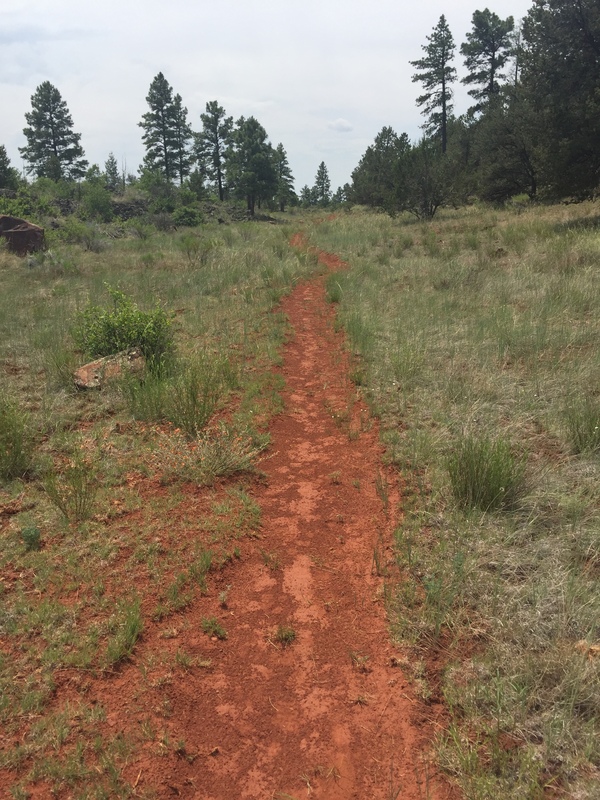 On a mostly solo 10-day trip I hiked on the Continental Divide Trail, peered into lava tubes, watched thousands of bats emerging from their cave, passed dozens of elk grazing amidst Ponderosa pines, and added a few new birds to my list. I climbed a sandstone mesa to admire the view and the ancient ruins of a long-ago civilization. I camped at one National Monument and explored the trails at another. I enjoyed three separate presentations by park rangers, and hiked in a National Conservation Area as well as a designated Wilderness Area. Free and convenient? Sign me up! I’ve recently relocated from West Virginia to New Mexico, and found getting away from it all remarkably easy. I managed my wild excursion within a two-hour drive of Albuquerque in a car supplied with a few camping basics: tent, cooler, stove, sleeping bag and food. Not far from the city, I found a breathtaking landscape with no crowds, traffic or sprawl. I finished my trip feeling stronger, calmer, and happier than I had in (dare I say) years. I gladly would have paid for the privilege of experiencing this, but I’m pleased that I didn’t have to. I can afford to explore America’s treasures (including those that rightly charge an entrance fee). But I know that many others can’t, and after all, these public lands are our common heritage. All of us, not just a privileged few, own them. They are gems to protect and to share proudly with the world. And oh yeah, they’re nature. Isn’t that kind of a birthright? You can read the back story about my trip (and threats to America’s public lands) in my essay for The Revelator, a publication of the Center for Biological Diversity. Yes, I’m enchanted. Not just with New Mexico, but with our whole spectacular Western landscape. After my recent escape, I’m convinced more than ever that as long as it remains wild, we’ll all be free. Thank you! Please keep coming back, sign up, and share with your friends on social media. It helps keep me writing! Previous Previous post: Where did the West go?